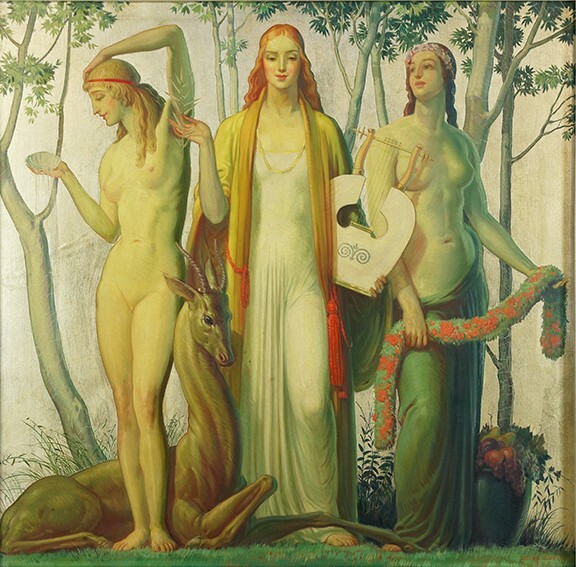 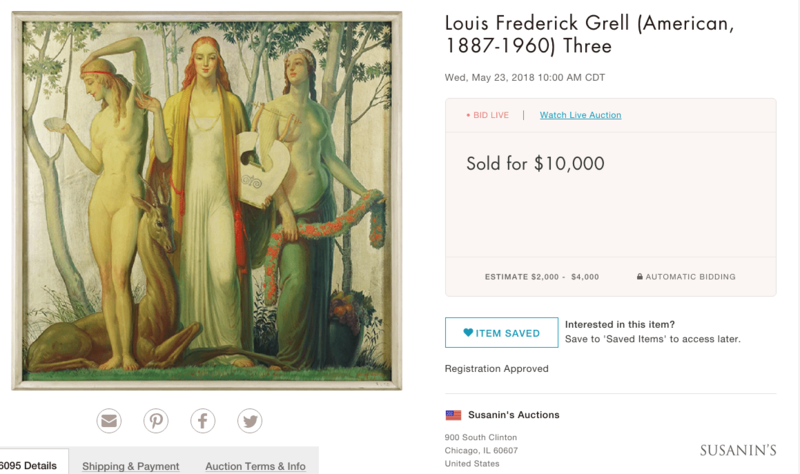 Three Muses (1934) is believed to be part of the series of ten lifetime important Greek/Roman mythological large paintings by Grell that were exhibited by Jim Romano at Tree Studios in the early 1970’s that also includes Judgment of Paris (1937), Leda and the Swan (1937), Thus Spake Zarathustra and Neptune Rising from the Sea (1956) which is believed to be number ten and is held in the Grell family collection. 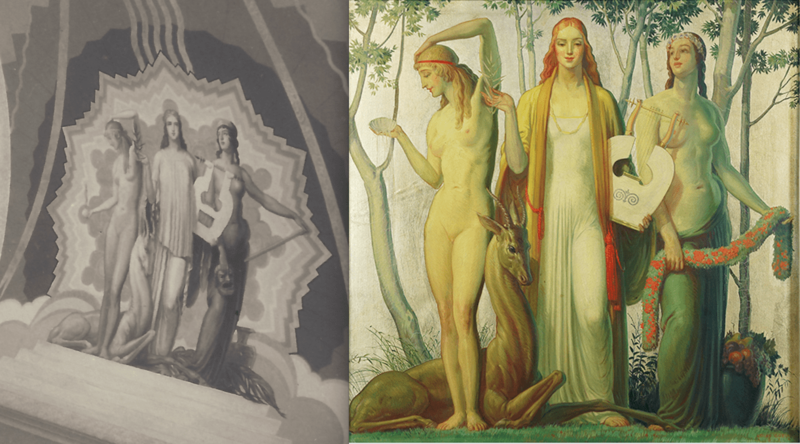 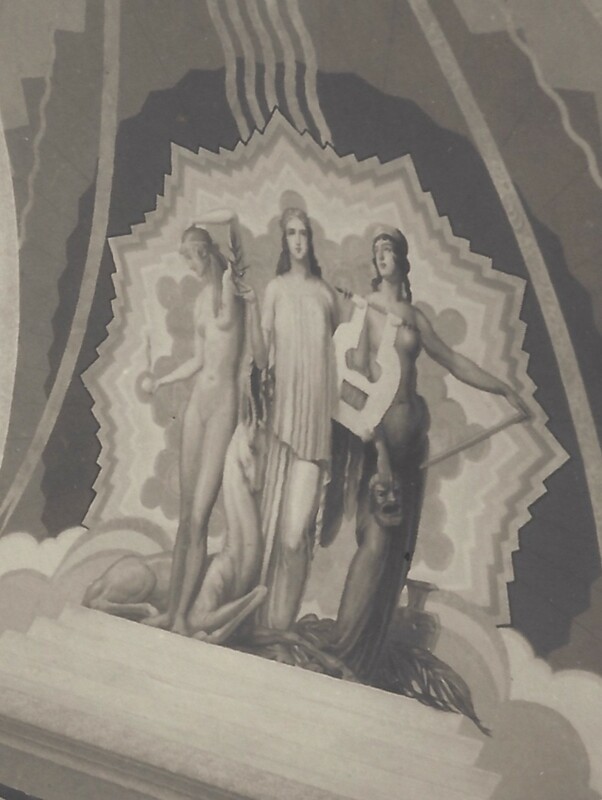 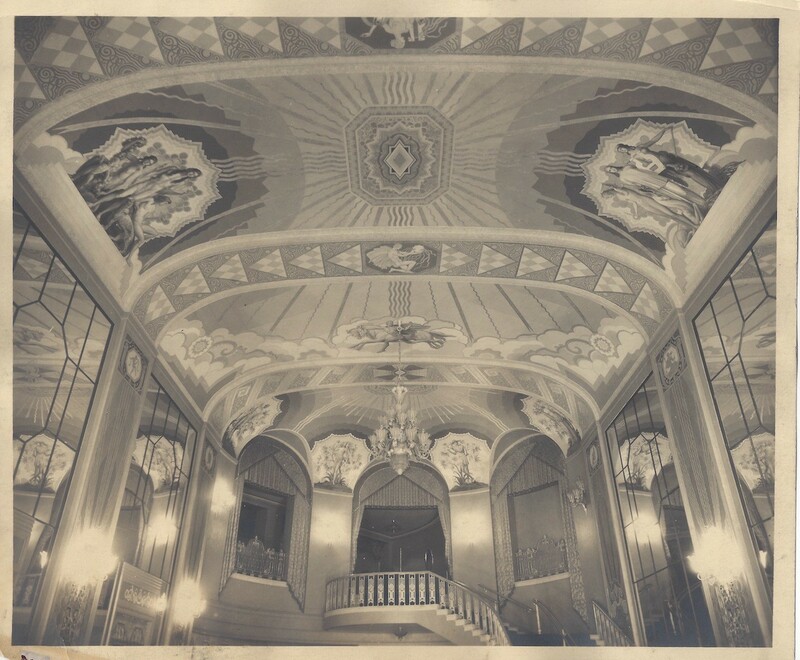 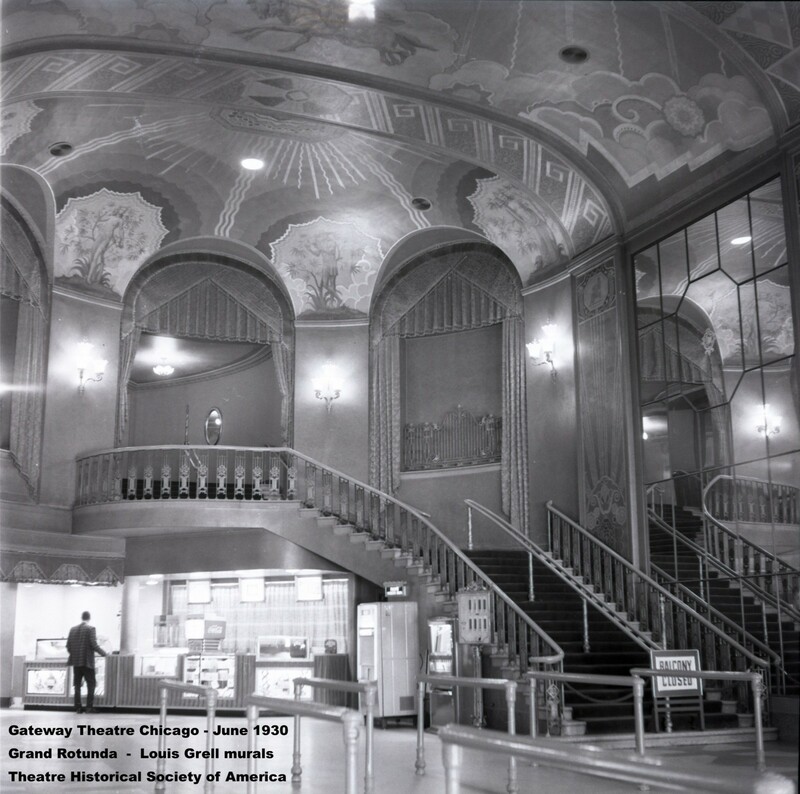 May 21 UPDATE – An earlier version of The Three Muses was incorporated into the mural design of the Gateway Theatre, Chicago, 1930. 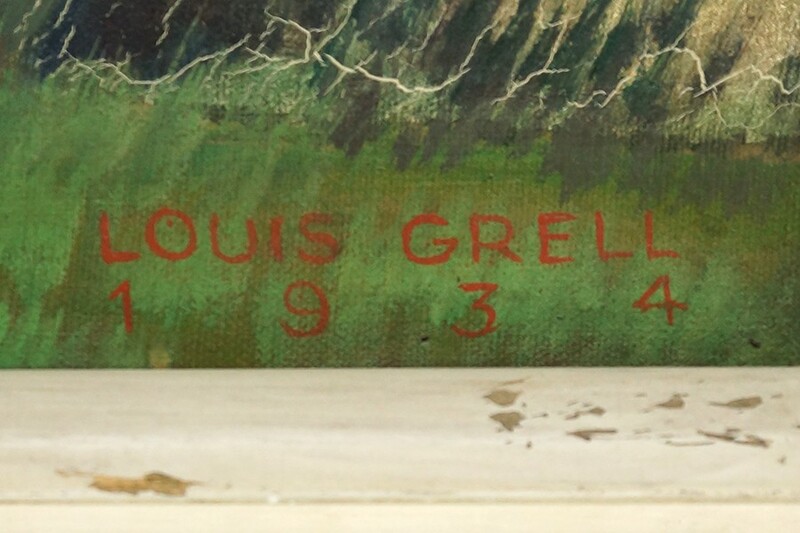 See new photos just added.